Some years ago I visited Scotland with my wife and friends. In a fly shop near the River Tweed, I bought a Wheatley fly box that holds much more than flies. Its contents still sit untouched. 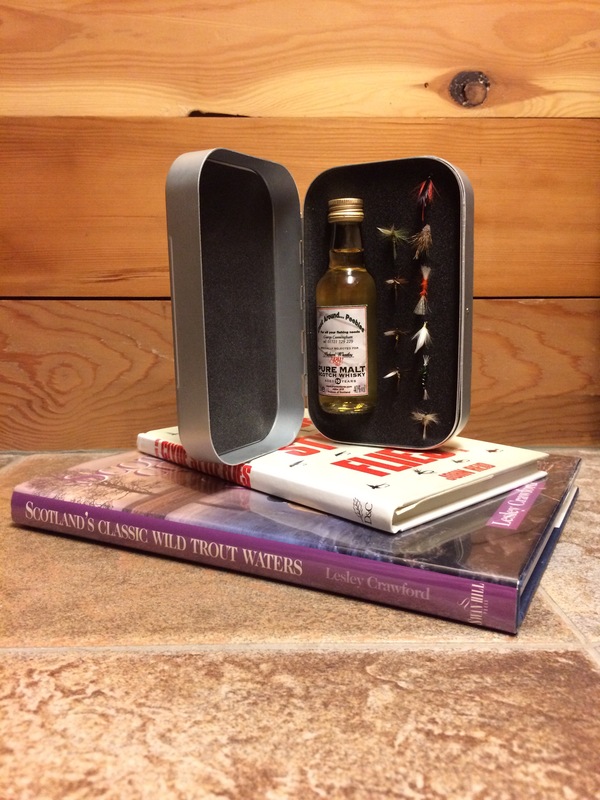 This entry was posted on July 15, 2017 at 9:43 PM and is filed under Fly Fishing. You can follow any responses to this entry through the RSS 2.0 feed. You can leave a response, or trackback from your own site. 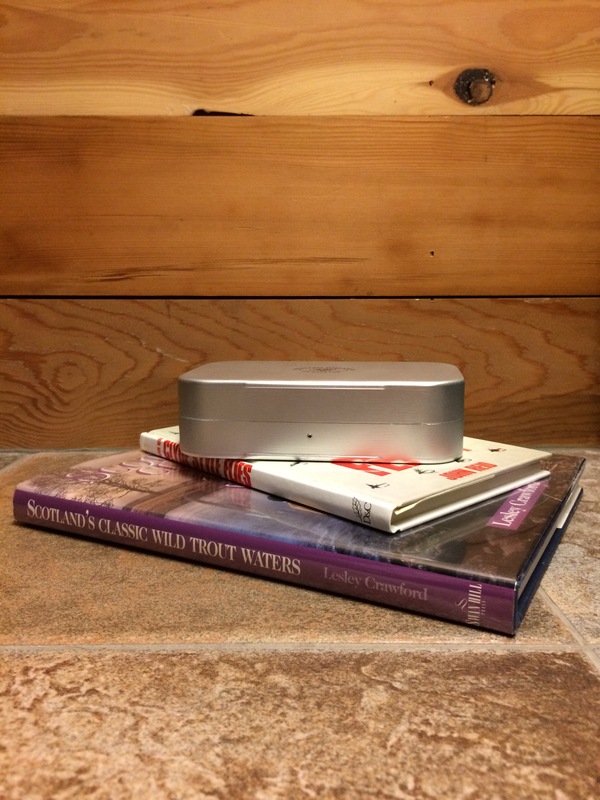 Ah, beautiful wood, attractive tile, good books and, oh yes, delight in a fly box. A+ I wonder if you will ever chance to imbibe said Scotch or if gazing at it and smiling for many years will suffice.